With all the college semesters getting back into gear again, laptop backpacks for students are back up in the market. It’s time to upgrade and get set for a new year and new semester! Builford is a waxed canvas accessory brand with a luxury vintage style. They offer a wide range of waxed canvas bags and backpacks, from cross bags to large rucksacks. In fact, they even have a waxed canvas jacket on the menu. Most of the new models have laptop pouches, making them excellent laptop backpacks for students. However, the original Laptop Backpack and Standard Laptop Backpack are both worth a second look. Both of these models were in the Builford original collection, along with the Explorer Rucksack and Basic Rucksack. While both are some of the simpler designs, that’s also what makes them great laptop backpacks for students. They focus on efficiency. The Standard Laptop Backpack looks quite simple, but in fact has a number of pockets and great internal storage options. The Laptop Backpack is similar, with just two front pockets. It does feature a size zipper into the main compartment, which is useful for getting things in and out easily. Both have enough space as well not just for the laptop, but books and notebooks as well. That’s an obvious necessary for students – even in today’s digitized age! 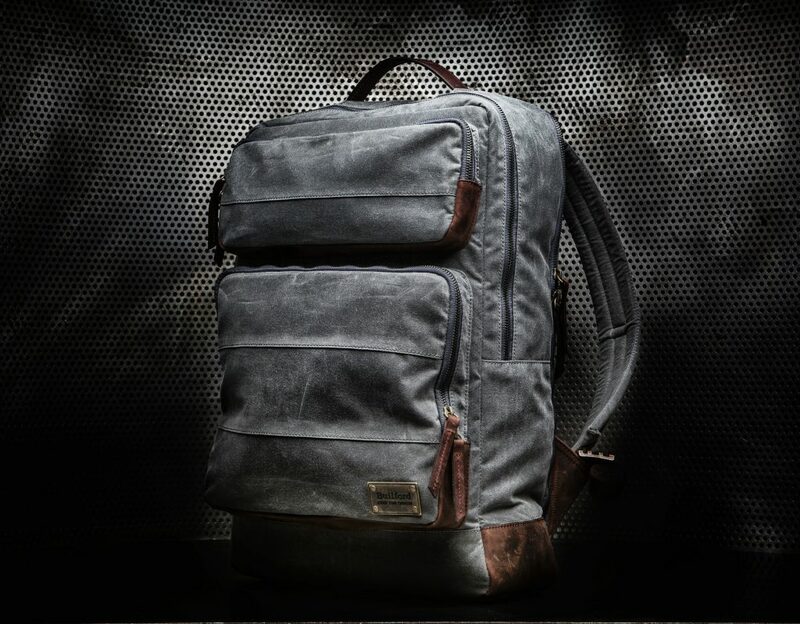 Builford waxed canvas backpacks have a lifetime guarantee. It’s a guarantee built from a craftsman-like attention to detail and quality, as well as top materials. That means that these packs aren’t just laptop backpacks for students in university, but students of life. You never stop learning, and these backpacks will be by your side as you travel, work, and grow. Check out the Builford Laptop Backpack and Standard Laptop Backpack, as well as all other models, on the brand website! Share the post "Waxed Canvas Laptop Backpack for Students"
Posted in Blog and tagged backpacks for college, builford laptop backpack, builford student backpack, laptop backpacks, laptop backpacks for students, student backpacks, waxed canvas student backpacks. Bookmark the permalink.